My name's Bill Paulen, and I am the President and CEO of Generations Credit Union. It's my pleasure to introduce our financial institution to you. I met many of you at the recent 2017 OSEIA member meeting, and many more at the 2016 ASES/Intersolar conference in San Francisco. That was easily my favorite conference of the last several years... Way more fun checking out cutting edge solar equipment and listening to solar presentations than sitting through days of financial institution regulatory compliance topics. Several years ago, Washington installations skyrocketed when competitive solar financing became available, and Generations is proud to have been a part of that. Our mission now is to make the experience of borrowing for a solar PV system as easy as getting a car loan. We’ve deployed state of the art mobile loan application tools that allow borrowers to apply from their cell phones in less than 5 minutes. We will equip your salespeople with tools to allow them to concentrate on selling solar PV systems, not trying to wade through the financing process. And we will keep you, the leaders of this effort, informed of our progress as we work together to provide a frictionless, EASY process for consumers to invest in solar. Generations Credit Union is fully invested in solar and energy efficiency financing. It's our primary lending mission, and has been since shortly after I became the CEO in 2014. We've financed millions of dollars in residential and small (under $50K) commercial solar installations in the last few years, and we've gotten good at it. Our staff and our lenders know solar. Sure, we do some auto and home loans too, but solar is our bread and butter. And will continue to be. Quick story. Several months ago, some of the installers we work with began asking us if we financed projects in Oregon. 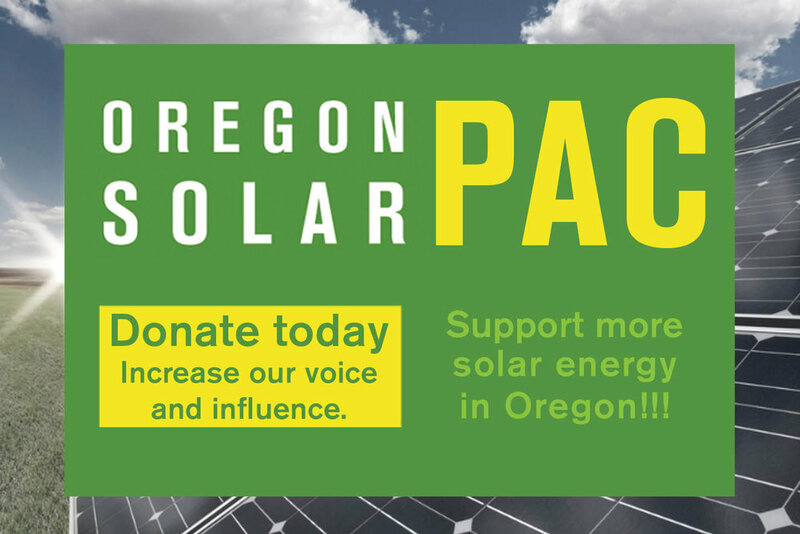 So I began researching the Oregon solar market. My efforts quickly led to OSEIA and a conversation with your Executive Director, Jeff Bissonnette. A few telephone meetings, a trip to Portland, and we had a plan to bring affordable, easy solar financing to Oregon state. Our efforts today are the culmination of that plan, hatched so many months ago.